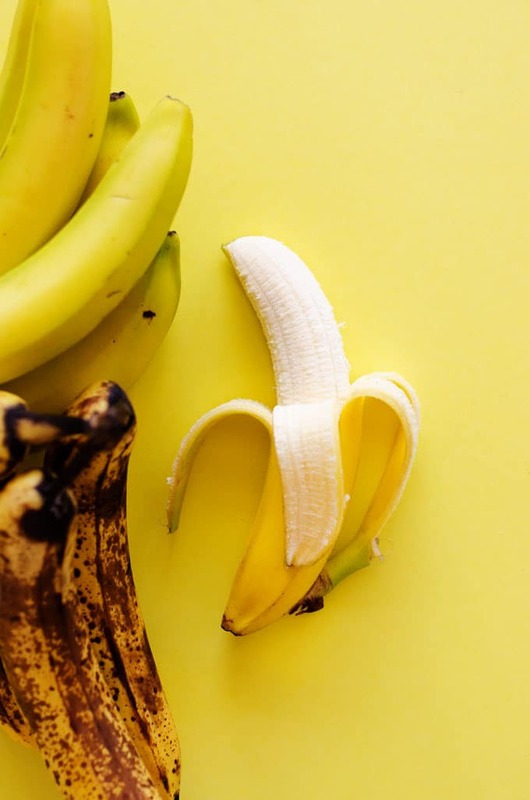 Did you know that 96% of Americans have purchased a banana in the last month? As one of the most popular fruits on the stand, it’s about time we give it the spotlight it deserves. So for the next two weeks, we’re going bananas! 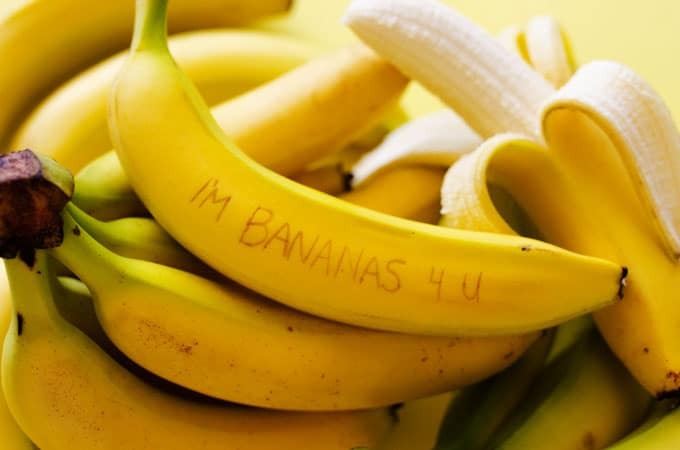 Bananas are full of fun facts. 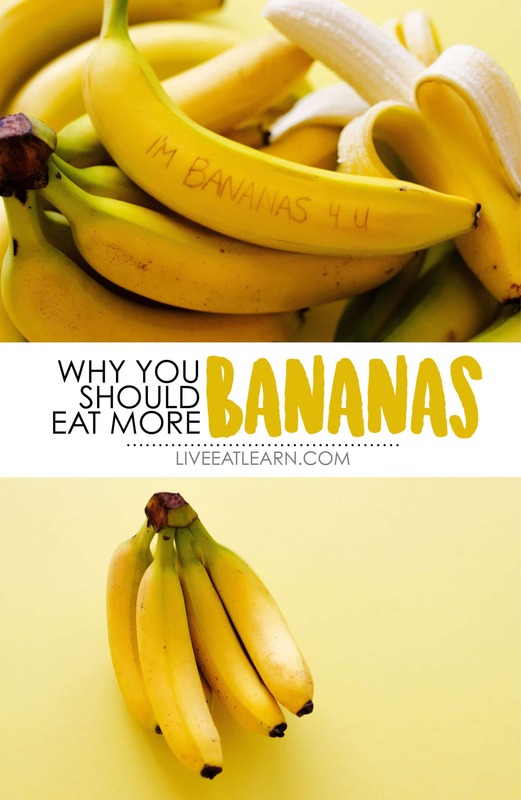 Like did you know they’re slightly more radioactive than other fruits, and that they measure radioactivity of common day things in “Banana Equivalent Doses”? Or did you know that they have a tumultuous history in South America, where the term “Banana Republic” was born? (Which is best explained in drunken form here). But today we’re sticking to the banana basics with some good, solid “Learns”. Unripe: Leave unripened bananas at room temperature. Want to ripen them faster? Place them in a paper bag and fold shut. This traps the ethylene gas given off by bananas, which helps them to ripen faster. 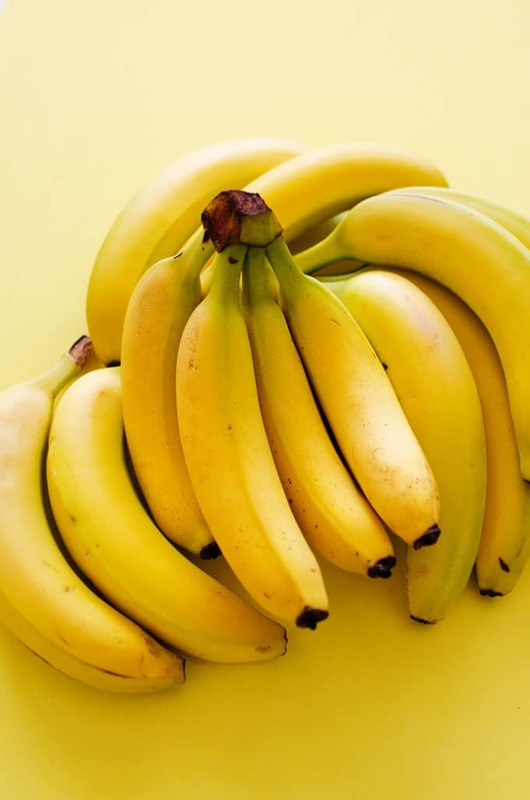 Ripe: Place ripe bananas in the fridge to slow the ripening process (this may turn the skin brown, but the fruit will be fine!) You can also slow ripening by wrapping the stem with plastic before refrigeration. 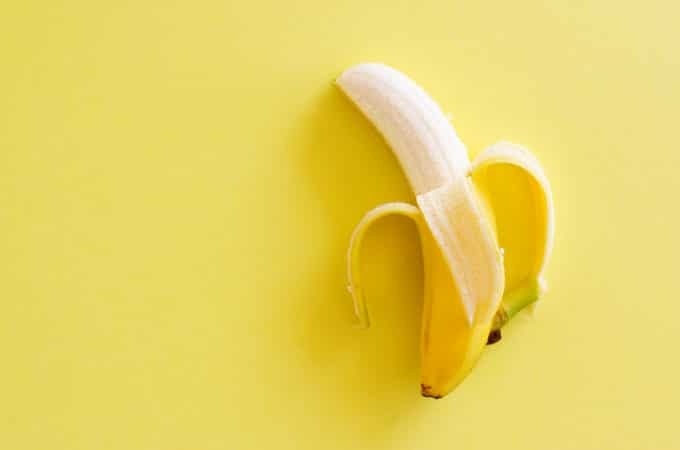 Overripe: Peel, chop, and freeze in a single layer for use in smoothies, banana bread, or nice cream. 25% DV of Vitamin B6 (Pyridoxine): A water-soluble vitamin that works behind the scenes as a coenzyme in many important reactions within your body, including protein metabolism and red blood cell formation, among countless other functions. 20% DV of Vitamin C: A water-soluble vitamin that acts as an antioxidant to fight against potentially damaging free radicals (molecules with unshared electrons that float around wreaking havoc) and an important cofactor in collagen synthesis. 14% DV of Potassium: A key mineral and electrolyte involved in countless processes, including healthy nervous system functioning and contraction of the heart and muscles.